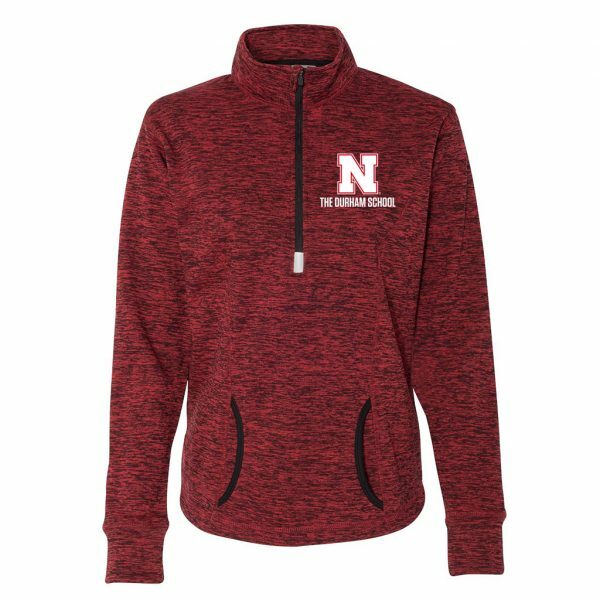 J America Ladies’ Cosmic Fleece Quarter-Zip. J America Ladies’ Cosmic Fleece Quarter-Zip. 7 oz., 100% spun polyester fleck fleece. Contrast zipper and front pouch pocket. Thumbholes on cuffs.